The UEFA Champions League is back! Make sure to check out our outright predictions below! 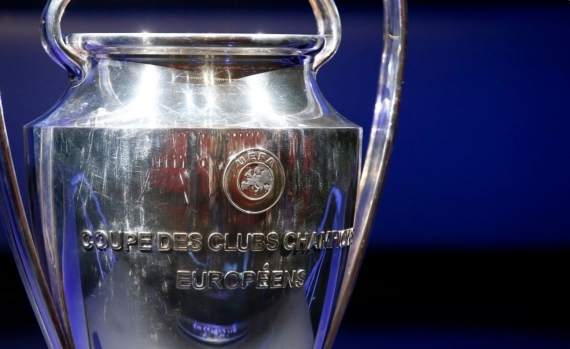 As another season of the UEFA Champions League draws closer, I’ll be taking a look at who will come out on top as group winners, and who I’m expecting to lift the trophy come end of the season. Last year, I predicted Bayern Munich to win the tournament, and was sadly let down in the quarter-finals as they lost 6-3 to champions, Real Madrid. Los Blancos are chasing their third consecutive victory, and if they manage to do so, they’ll definitely be candidates for “Team of the Decade”. Madrid have been pitted up against Borussia Dortmund and Tottenham in Group H, with APOEL Nicosia being the team to score points off. Group B will also be exciting to watch with Bayern and Paris Saint-Germain expected to fight for top spot there. Barcelona will get a shot at revenge when they square off in Group D against Juventus, the team that knocked them out last season. English champions, Chelsea, return to Europe’s elite tournament and they have a matchup against Atletico Madrid which will certainly draw attention. Fellow English giants, Manchester United, Liverpool and Manchester City, will all be happy with their respected groups. But this is the Champions League we’re talking about. It’s not as mediocre and straightforward as the UEFA Europa League. Click here for full Matchday 1 preview! Manchester United have been very impressive so far, and one gets the feeling that Jose Mourinho has found his winning formula. Romelu Lukaku and Nemanja Matic have made an instant impact at the club, and with Zlatan Ibrahimovic staying on, the Red Devils should be frightening. They should win all their home games, earning nine points, while the away trip to Basel and CSKA Moscow could earn them a few extra. Yes, all eyes will be on PSG after they signed Neymar and Kylian Mbappe. However, experience could prove costly for the French giants. In my honest opinion, they have an average manager in Unai Emery, but owners who have backed him up, giving him a crazy load of money to work with. That said, I see Bayern Munich topping this one. They have too much class in their squad, and with Carlo Ancelotti, a man born for the Champions League, they’re always going to be deadly. At 8/10, that’s where my money will be! As a South African, I would lie if I was saying that I’ll support any team other than Dino Ndlovu’s Qarabag in Group C. However, when it’s time to put my money down, I only see one group winner here: Chelsea. The Blues don’t have the biggest squad to compete with, but will be too strong for AS Roma and Qarabag, while they should also take advantage of Atletico Madrid’s failure to strengthen. It’s a fairly decent price for Chelsea at 11/10; get on! As close as it will be, I still expect Barcelona to top this group. The Catalans will cruise past Sporting and Olympiacos, while Juventus are capable of an upset away to either side. Juve will definitely qualify with Barca and pick things up in the latter stages, but in the group, my money is on Barca. The price is a bit short, but I wouldn’t look past it. At this point, it probably looks like I’m backing the favourite in every group. However, I just don’t see that many upsets when it comes to topping the group. If it weren’t for Sevilla, Liverpool would cruise through and win every match convincingly. Sevilla are capable of dropping points away to Spartak and Maribor, but still should qualify. That said, I’ll be cheering for the Reds to come good at 11/20. This is where it gets interesting! I mentioned in my gameweek preview how I’m huge admirers of Napoli’s attack. I think that they have more than enough firepower to top Group F, and should claim nine points in their home matches. Away from home, they should be just as brilliant. Maurizio Sarri is a superb manager and he knows how to get the best out of his players. In my opinion, the betting is completely wrong here. Man City shouldn’t be that short, and Feyenoord shouldn’t be the highest price in the group. But what do I know? Anyway, back Napoli at 11/4 and move on. You’re probably wondering why FC Porto? Their rock-solid defence will play a key role for the Portuguese giants, and with Iker Casillas in goals, it’s so hard to write them off. Leipzig might be pipped to second by Monaco, but both sides are too attacking and don’t defend very wisely. They still have the players to get them goals in Yacine Brahimi and Vincent Aboubakar. Porto remind me a lot of Juventus and Monaco showed last season that they find it difficult to play against sides like those. It says something about Real Madrid if they can be priced up at 4/10 to win the “Group of Death”. I have no complaints about the betting here. The champions are 4/10, and rightfully so. Los Blancos could actually win all their matches – home and away! As you can tell, I’m huge admirers of them as well. They finished second to Dortmund last year, but times have changed, and with Spurs playing at Wembley, they could also struggle. I do think Dortmund will qualify, but Madrid should top the group. I’m sticking with my prediction from last season and going with Bayern Munich. I got a better price this time around at 7/1, and with Carlo Ancelotti, they’re always going to be in the mix. Bayern are one of the most complete teams from goalkeeper to striker and have one of the greatest managers in history! They’re bound to get it right at some stage. Back Bayern to lift the trophy at a valuable 7/1!